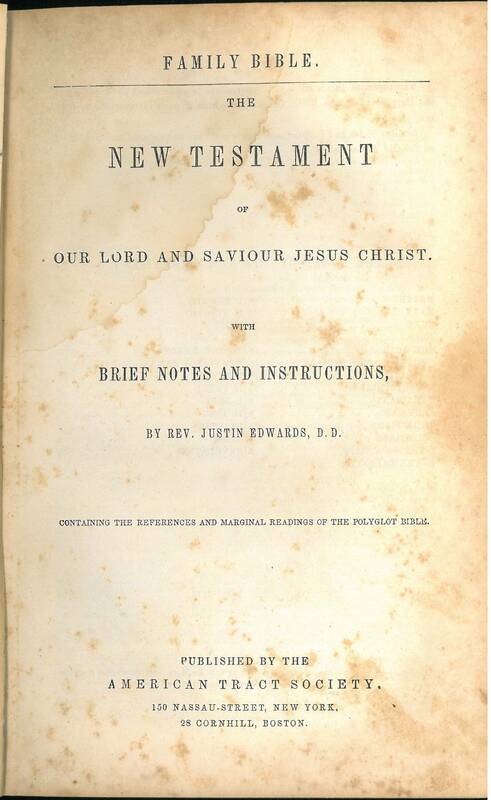 Title: Family Bible The New Testament of Our Lord and Saviour Jesus Christ. With Brief Notes and Instructions, by Rev. Justin Edwards, D.D.